Pauliana October and Ka’Zhure Davis counted out their 100 items. They counted out 10 pieces of 10 different items to equal 100. 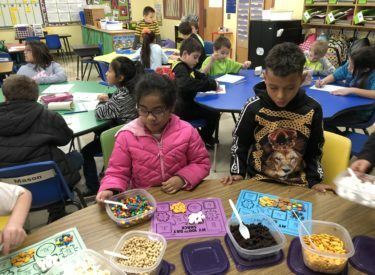 Lincoln Elementary School students in Julie Logan’s second grade class used a variety of snack items to count to 100, to celebrate 100 days of school on Thursday. 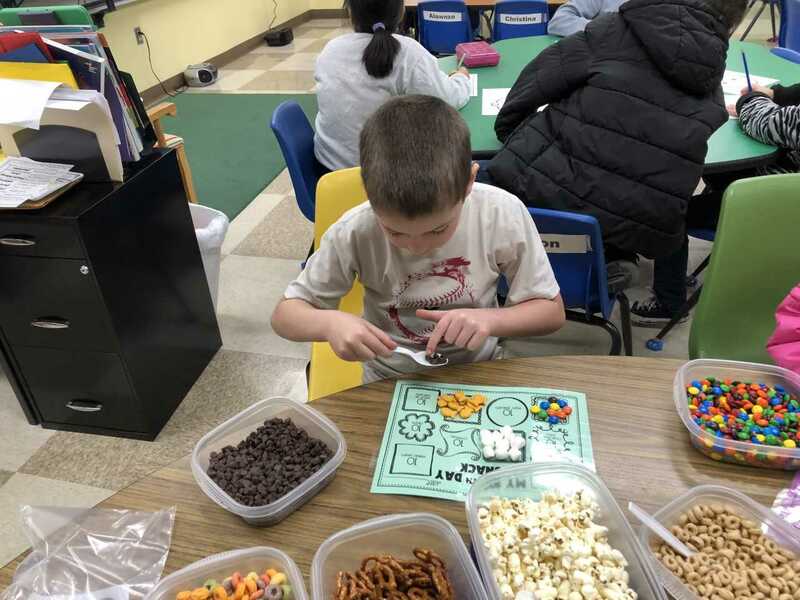 Sam Ellifritt counted out his 100 items on Thursday from a tasty assortment of snack foods.